We caught up with NAMA members and asked them to share their best NAMA experiences. They also told us how NAMA has helped their careers and advanced their professional development. Check out more of these quick, engaging videos on nama.org. 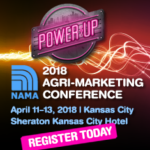 Use them to help promote your chapter’s events—or just help spread the word about the benefits of NAMA membership to your agri-marketing colleagues. Be sure to tag NAMA when you share! 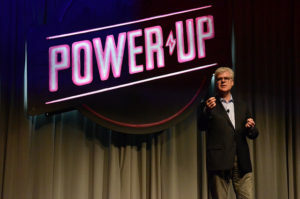 Agri-marketers from across the country supercharged their networks while gaining new insights at the 2018 Agri-Marketing Conference. Many attendees arrived a day early to sample award-winning Kansas City fare with the first ever MoKan Taste of KC tour. 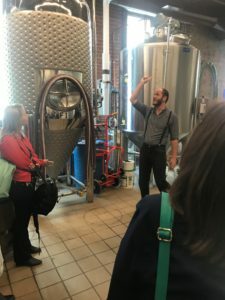 The savory experience began with a behind-the-scenes look at the Roasterie factory, where coffee from around the world is cupped, roasted and blended. 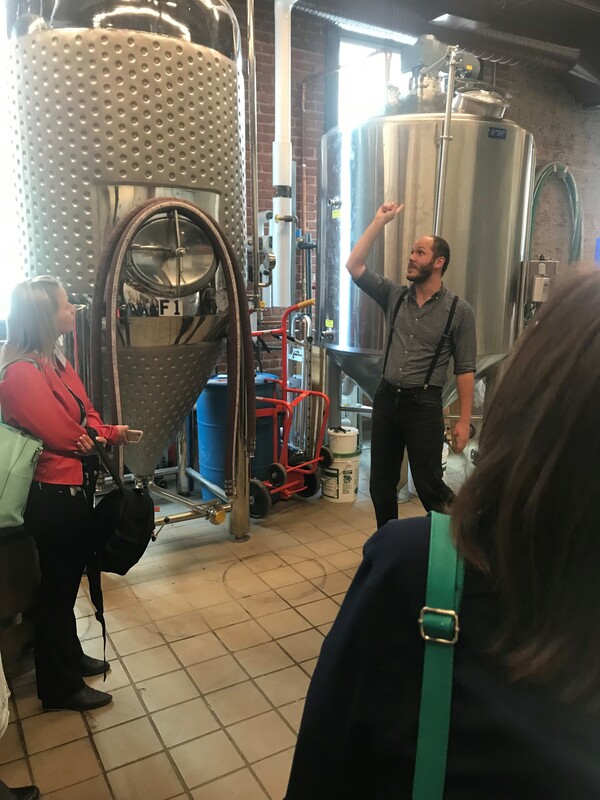 Hungry agri-marketers were treated to a farm-to-table meal at Rye on the Plaza, and later explored prohibition-era Kansas City with a tour of a historic speakeasy, Tom’s Town. 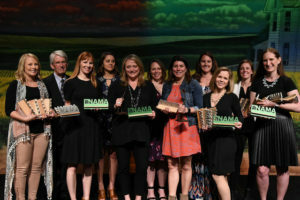 The Best of NAMA awards recognized award-winning, forward-thinking campaigns from the past year. This annual awards event never fails to get the conference off to a spirited start, as it celebrates agricultural communications from top agencies and companies. NAMA presented the Best of NAMA awards to standout leaders who have spurred agricultural innovation throughout their careers. 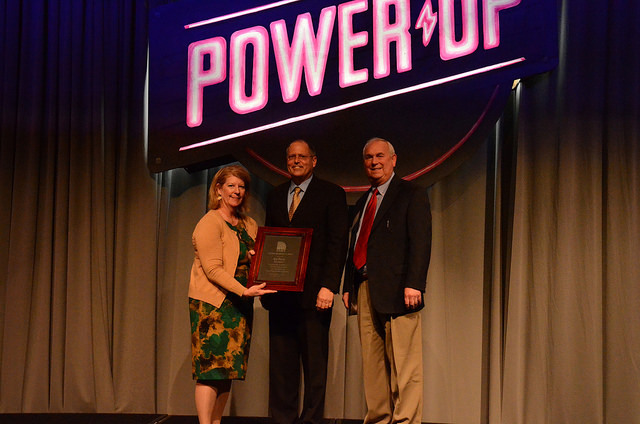 Calvin Ernst, Ernst Conservation Seeds, was named the 2018 Agribusiness Leader of the Year. Ed Peck, Filament, was awarded the distinction of NAMA Marketer of the Year, and Kendal Frazier, Nat’l Cattlemen’s Beef Assn., was recognized as the inaugural Ag Association Leader of the Year. 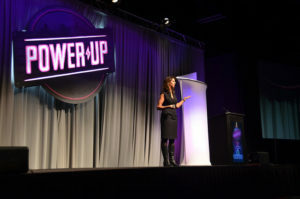 Keynote presenter Carey Lohrenz, the first F-14 Tomcat Fighter Pilot to serve in the U.S. Navy, delivered an inspiring presentation on business leadership, and shared her unique perspective on achieving success in fast-changing environments. 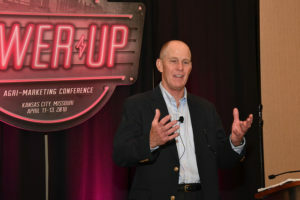 Joe Calloway, award-winning business author and consultant, continued with case studies and insights into what separates successful companies from the pack. 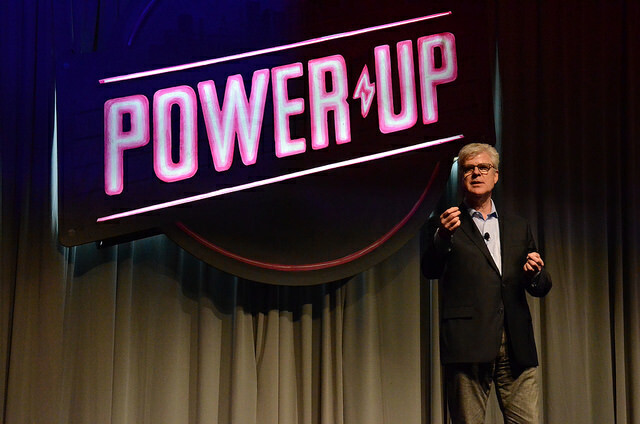 The spark of inspiration was apparent throughout the afternoon, which included breakout sessions with business leaders and creative minds from the agency world. Breakouts also included special sessions that allowed attendees to converse with and explore concepts introduced by keynote presenters earlier in the day. 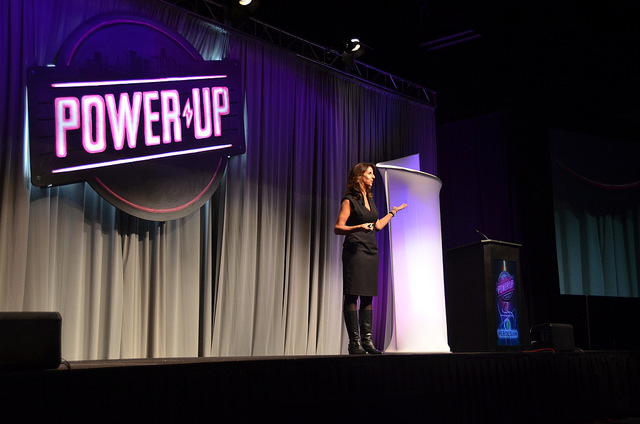 Attendees enjoyed the empowering message and abounding opportunities to learn from presenters and one another. Key themes from the breakout sessions included attracting new business, increasing customer engagement and navigating the complex world of agriculture technology. “The 2018 Agri-Marketing Conference was an enriching and fun experience,” said Janella Umali, Swine Marketing Coordinator, Alltech. “Some of the messages I’ll bring back with me to the office are: focus on what matters, simplify the complicated and take risks. Attendees finished off the first full day of conference programming with a closing reception at the Connection Point, and later on, enjoyed networking and laughs with fellow agri-marketers at the After the After Party. 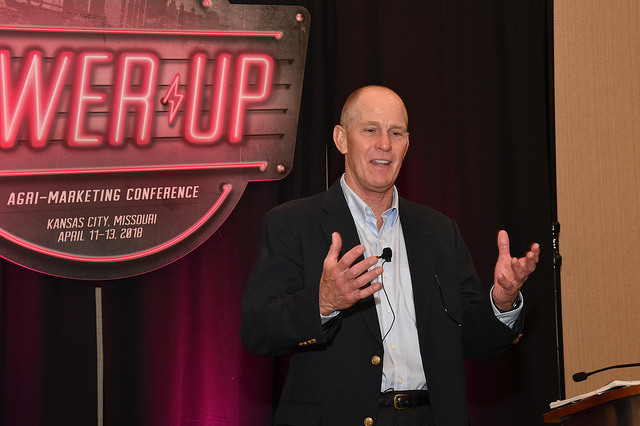 The power-packed event closed with a moving presentation from Steve Ford, son of President Gerald Ford. The “first son” shared personal and historical highlights from his father’s presidency, his acting career and other wisdom that closed out the conference on a high note. Check out some great photos from NAMA’s week in Kansas City on the NAMA Flickr page! According to Sullivan Higdon Sink’s proprietary SHS Foodthink research, only one-third of consumers trust the agriculture and food manufacturing industries. While the use of shared values in communications is a starting point to earning consumer trust, companies and organizations across the food system must go further to realize success in their implementation. Join Ali Mahaffy, co-CEO, and Erika Chance, Associate Director of Brand Strategy, as they share how to address consumer skepticism and build trust with consumers via four key steps. The 2018 NAMA Fall Conference will take place in Minneapolis, MN on September 18-20. Mark your calendars now so you don’t miss it! The Loews Minneapolis Hotel. The room rate for the NAMA block is $194.00 and the cutoff date is August 31, 2018. Make your reservation through the Loews Reservation Center, (877) 878-5670. The online reservation website will be available soon. A new name, the same great cause. ABEF is now the NAMA Foundation. 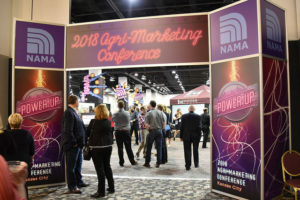 The NAMA Foundation was unveiled at the 2018 Agri-Marketing Conference as the new organization to support the future of agri-marketing and Student NAMA. The NAMA Foundation had great success with many fundraising opportunities at this year’s Agri-Marketing Conference. On Tuesday, April 10, almost 65 people took part in the updated Topgolf Outing. It was a perfect day at Topgolf Overland Park, where attendees enjoyed cocktails and appetizers while they hit micro chipped golf balls to marked targets on the green. The 2018 Century Club sign up was another big fundraiser put on by the NAMA Foundation. By the end of the conference, there were 95 names on the list! Out of those names, Vernon Benes, Beck Ag, was the big winner of this year’s Wine of the Month Club! Thanks to everyone who donated, the foundation is very excited for the fundraising success and to give back to the future of agri-business. Click here to see the 2018 Century Club List. The students continued the raffle fundraiser again this year, sponsored by Farm Progress. Both before conference and onsite, students were trying to sell as many tickets as possible. Each ticket gave the buyer a chance to win a $1,000 Amazon gift card. 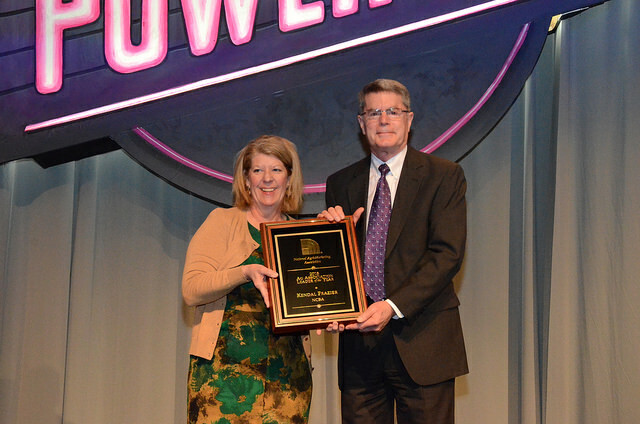 The winner this year was Tracy Calvert, parent of an Iowa State University student. And finally, the NAMA Foundation had HUGE success with this year’s Silent Auction. With over 68 donations, attendees had a wide variety of items to bid on. This year was one of the most profitable years for this fundraiser, with over $6,000 raised for Student NAMA! Thanks to everyone who bid. Spring is a time of renewal and fresh opportunities! Join North Central NAMA for happy hour and enjoy some great beer and just as great networking. Bring a friend who is not a member. Each person who brings someone new will have their name entered into a drawing for growlers. Bringing a potential new member means a better opportunity for more beer! COST: Admission is free. Two free drink tickets will be provided for each person in attendance. We are just a week away from the 2018 Agri-Marketing Conference! Check out who is going to be there now. Don’t worry, there is still time to register! Use #NAMA18 for all your tweets about this year’s conference!